What most people think of as a family law case is a divorce case. 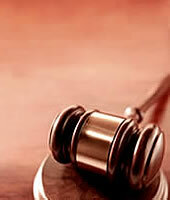 Divorce, also known as dissolution of marriage, is a legal proceeding to terminate the marriage. The case is filed with the Probate and Family Court in Massachusetts in the county where one party resides. However, if one of the parties still resides in the county where the parties last lived together, the case must be filed in that county. If the grounds for divorce occurred outside of Massachusetts, you must reside in Massachusetts for one year prior to filing. If the grounds occurred in Massachusetts, you or your spouse must reside in Massachusetts and there is no time requirement. A spouse can file a Complaint for Divorce. This is known as a contested divorce action. In addition, in Massachusetts, both parties can file a Joint Petition for Divorce to terminate the marriage which is considered an uncontested divorce action. After one spouse files a Complaint for Divorce, the parties can ultimately proceed on an uncontested basis if an agreement can be reached by the parties. Generally, if the parties reach an agreement, the divorce hearing is fairly brief. At the hearing, the judge will determine if the agreement reached by the parties is fair and reasonable and entered into freely and voluntarily. If the parties can not reach an agreement, the case will proceed to trial. Along with the termination of the marriage, other issues are considered in a divorce proceeding such as division of the marital assets and determination whether spousal support is appropriate. If the parties have children, child support will be evaluated as well as custody and visitation issues. If the case proceeds to trial, a judge would make the decision on these issues. Family law, however, is not limited to divorce cases. Family law includes legal separation of spouses, paternity cases, obtaining child support, child support enforcement or modification, change in custody, enforcement or obtaining alimony from a former spouse, guardianship issues and child adoption cases. Further, guardianship can include not only issues involving children, it can also include guardianship for elder or incapacitated individuals. In March 1, 2012, the Alimony Reform Act became effective in Massachusetts. The new law effects not only pending actions involving alimony, but will have an impact if a modification in alimony is sought by the payor after divorce.